Japanese two-wheeler manufacturer Suzuki Motorcycle India is all set to launch Access 125 on March 15. Suzuki showed off its all-new 2016 Access scooter at the Auto Expo 2016. Based on an all-new platform, the Suzuki Access 125 looks very different from the original scooter. The new Suzuki Access 125, which sports a slightly retro appeal, comes loaded with features such as single push starter, reworked engine, alloy wheels, optional DC socket, telescopic front forks and new colours. A few other talking points for the new scooter include a redesigned fascia and headlamp while the indicators and side panels have been refurbished as well. Additionally, the new scooter now gets LED brake lights and clear lens turn indicators. The new Suzuki Access 125 continues to be mated to a CVT gear box and features telescopic forks in the front. 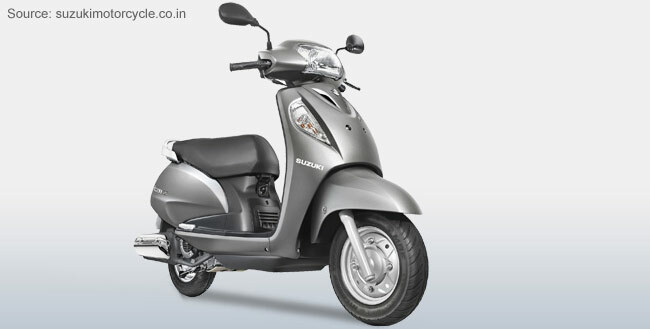 The 125cc engine now comes with SEP and makes more power (8.7PS) and torque (10.2Nm). Suzuki has also fitted the Access with disc brakes instead of the 120mm drum brakes from the previous generation model. Suzuki says that the scooter is also lighter than before. This should make it more fun to ride while staying fuel efficient. Suzuki is also using a digital instrument cluster for the new Access 125. This display also shows a service due indicator - a feature which many others scooters in the segment had adopted a couple of years ago. The Suzuki Access 125 was the manufacturer’s first scooter when it started operations in India nearly a decade ago. Suzuki, however, will not be phasing out the old Access anytime soon and the process will gradually happen once the new scooter has been around for some time, the company said.